When you require reliable heating and air conditioning services, just rely on Coleman Smith Inc., in Lexington, Kentucky. Our factory-trained-and-certified technicians have the information and abilities to have a tendency to your entire commercial or domestic requirements, including designs, installments, and repairs. We additionally provide industry's latest services and products for your home or workplace. Our heating and cooling products and services include:Heat Pumps.Gas Furnaces.Package Units.AC Systems.Insulation and Repair.24 Hour Emergency. We sell and install major brands such as Lennox®, Amana® and Goodman®. 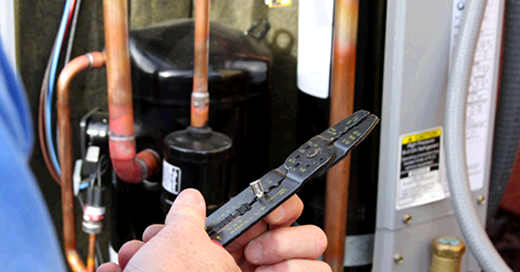 You need not wait until to receive the heating or air-conditioning fix or solutions you will need. That is the reason we offer prompt services within 24 hours of the call. We assure you that a skilled professional will visit your home in a timely manner. Since 1932, we have provided the highest-quality air-conditioning and heating repairs, installations, and products in Central Kentucky area. In recent times, our bonded, certified, and insured company has proceeded to put you first by giving you with the greatest comfort level. We are also proud to be among the finest long-standing businesses in the Bluegrass area.Contact us @ (859) 254 4081 if you wish to keep your home and office comfort all the year long. Depend on Coleman Smith for your residential, commercial, and industrial heating services. Receive dependable heater installations and repairs for all makes and models. We also offer furnace safety inspections to ensure the burners are clean.Boiler, Heating Repairs in Lexington, KY.
Do not worry about your budget when receiving our installation services. We offer solutions for every budget so you stay warm in the winter with a properly installed heat pump, or a geothermal or energy-efficient furnace. Popular brands we carry include Lennox, Goodman, and Amana. 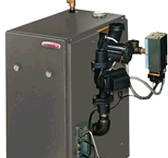 Have your furnace or heat pump repaired by our technicians. We also perform safety inspections to ensure burners are clean and furnaces work at maximum capacity in safe conditions. Our staff arrives to your home or office at your scheduled appointment and repairs your heater in a timely manner.Keep your home or office cool with air-conditioning services by Coleman Smith. We offer a wide variety of products and services to meet your entire cooling needs. Our company not only installs and sells Lennox®, but also Amana® and Goodman® air-conditioners. All installations are warrantied and repaired by our company. No matter what your budget is, we have the system for you. Contact us to request an in-home estimate for your system and installation today. With dependable air-conditioning repair services from our company, your home or office stays at a comfortable temperature all summer. Our technicians arrive on time to your scheduled appointment to repair your cooling system quickly. We repair all brands and offer you a 90-day labor warranty. In addition to these services, we are also authorized to complete warrantied work on Lennox air-conditioners. 24-Hour Response & Emergency Services.You shouldn't have to wait to receive the heating or air-conditioning repair or services you need. That is why we offer prompt emergency services within 24 hours of your call. Rest assured that a skilled technician will arrive to your property in a timely manner. In addition, we also offer priority services for seniors. Experience You Can Depend On.Since 1932, our locally owned and operated company has provided the highest-quality air-conditioning and heating repairs, installations, and products to the Central Kentucky area. Through the years, our bonded, licensed, and insured company has continued to put you first by providing you with the ultimate comfort level. We are also proud to have established ourselves as one of the finest long-standing businesses in the Bluegrass area.